Strategies and tactics will only get you so far – to really master chess, you need to understand the psychology behind it. 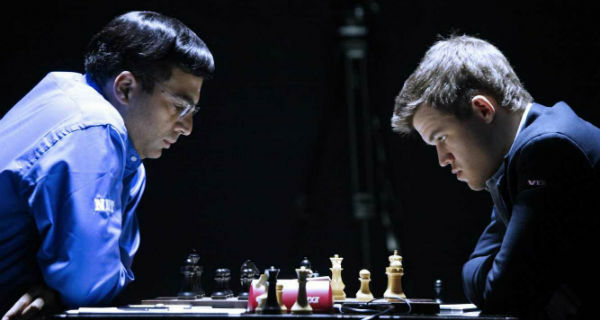 There are some aspects of chess that a computer just can’t replicate, chief among those being the psychological aspects of chess. It’s one thing to memorize opening moves and use your favorite tactics and gambits to play a strong game, but it’s another thing entirely to use psychological tricks to claim victory over your opponent. For many, this is an aspect of the game that they never even think about, making them particularly vulnerable to it. This is, essentially, a whole new level in the game of chess. 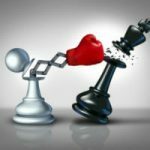 When you’ve practiced and practiced your chess game and sufficiently advanced the strength of your game, it may be time to take a look at some of these psychological tactics to really up the ante. Using these tips in your chess games can help you secure victory time and time again. The first step on the road to fully harnessing the power of chess psychology is by knowing your own game. Before you can expect to be able to identify the key strengths and weaknesses in your opponent’s game, you will need to be able to identify the same in your own. Before you can know your enemy, you must know yourself. In order to do this, you must spend some time studying your own games and examining your typical strategy introspectively. Take some time to look over your score sheet after each match and look for patterns. Is there a certain tactic that you fall back on more than anything else? Is there a gambit or trap that you just can’t resist? Analyze your own games with the critical eye you would give to someone else’s and try your best to understand why you do the things that you do and how well it serves you. Maybe there’s a move that you consider your “signature” that you like to do in each game, but upon further reflection it really does you more harm than good in the long run? Maybe there’s a move you never make that would be perfectly appropriate in certain circumstances? Do you frequently refuse to draw with a player ranked lower than yourself, only to end up losing instead? These are things that you need to know in order to improve your game and make it less predictable for your opponents, who will no doubt be studying your games just as much as – or more than – you do. Once you’ve identified your own strengths, weaknesses, and patterns, you’re ready to move on to looking for the same sorts of things in your opponent. If you know who you will be facing ahead of time, it helps to look over their past games with a studious eye. Analyze their recent games with the same laser like focus you just applied to your own. Identify their favored moves, patterns that repeat themselves across many of their games, and when and how they’re likely to get themselves into trouble. All of their previously played chess games are like a road map to success for you, if you only know how to read them. If you don’t happen to know who you’ll be playing enough in advance to study their old chess matches, you’ll need to rely a bit on intuition and your own ability to read people using chess psychology at its finest. If you don’t know anything specific about your opponent, say they’re a stranger, you can always fall back on exploiting common weaknesses that all players have, like a tendency toward laziness. You can take advantage of this laziness to hide your threats, if you know just how to do it. You see, when asking themselves, “why did my opponent move that piece there?” most players are likely to stop after the first answer they come up with, and not look for a second one. You can use this to your advantage by hiding your threats in a response to one of your opponent’s threats. Whenever you can, respond to threats by making moves that protect your own chess pieces, but also attack your opponent’s pieces. When asking himself why you moved there, your opponent will see your move as a defense of your piece, and will likely stop there, before considering that it could also be an attack. Then, you can surprise him! Psychologists have found that players usually cave after a series of three consecutive threats. Weaker players especially seem to psychologically give in after the magic number of three threats. For stronger players, it may take longer, but the general sentiment is the same – be unrelenting, and keep the pressure on your opponent without letting up. It takes a toll. Sooner than you think, they’ll begin to crack under the pressure of constant defense and make a mistake that you can exploit. The basic idea here is to take ten moves to do what it could have taken you just two to do if you were being expedient. Draw it out, and your opponent will become less and less cautious as the game goes on. If you make 6 seemingly meaningless moves in a row, your opponent is not likely to waste time looking for the hidden meaning behind move number 7- even though it could likely put his pieces in jeopardy. This is mostly a tactic used to confuse your opponent and make him or her give up on looking for the thought process behind your moves because so many of them seem to have had no rhyme or reason. Do this enough, and your opponent will become less and less cautious of you, thinking that you pose no threat. They may even think you barely know the rules of the game! This is all working in your favor and will pay off in the end-big time. Do this enough, and your opponent will become less and less cautious of you. Obviously, you’ll want to make sure that all of these meaningless “decoy” moves are done in safe positions that don’t leave you open and vulnerable to enemy attack. It may be difficult to find positions like this each turn, but do your best to use them when they are available. You can blow your cover by making a move that is too forward or obvious, since once your opponent sees that you clearly DID have a motive behind that last move, he will begin looking for them again. After this happens, you usually can’t pull the wool over their eyes again, no matter how many meaningless moves you make, and it will likely be a defeat for you. So, if you want to use this strategy, make sure that you keep your opponent in the dark the whole time – until it’s too late for them and you can strike out and capture their King. This is a tip that certainly sounds easier said than done, but there are actually many ways to accomplish it. Even a mistake or an unsound sacrifice can help your cause when you’re using this strategy, depending on how you play it. The main idea is just to come in like a whirlwind, confuse and intimidate your opponent through any means possible, and exploit the unsound defense that comes from their confusion and distraction with your blatant show of aggression. You see, people are easily flustered by an aggressive playstyle, and when they are flustered, they make mistakes. Mistakes which you can exploit. This is why overly aggressive players tend to win matches, even when they do surprising things like sacrifice the wrong piece or making a glaring error on the chessboard. In fact, these blatant mistakes can often add to the shock value, making your opponent wonder just what in the world you are doing over there. The majority of players won’t be able to take this bizarre playing style in stride, and will respond with confusion, which weakens them. Take advantage of their confusion and the mistakes that it will lead them to make. In this game, you are a berserker! Imagine yourself as a Viking, screaming your way across a battlefield, baffling your enemies and taking advantage of their shocked stillness at a critical moment. The underlying strategies in both instances are the same. Confuse your enemies, and dominate them while their jaws are still hanging open, before they even really know what hit them. A rattled opponent will make mistakes that lead to their downfall, and it’s easy to rattle them by breaking away from the expected “script” of the typical chess game. If you’re not a fan of the all-out, in your face method of surprising your opponent, there are also more subtle ways, though they can be much more difficult to execute with skill and grace, depending on the strength of your opponent. If an opponent is not very strong, they may not realize the enormity of the mistakes made in the berserker style, and its impact will be lost. For such a player, it is better to set up a few fake outs and bluffs across the board to confuse them with. Set up an interesting looking trap in an area of the board that is not your main focus, chances are good that the inexperienced player will get so caught up in dealing with that trap that they won’t notice your main line of attack coming in from another direction. Or, if you can, set up threats all over the board so that your opponent won’t know which one is really credible. They can’t defend from them all, and eventually you will be victorious. There are a few other distractionary tactics you can use outside of the game, but some might consider these more “cheap tricks” than “chess psychology,” so use your own discretion. The first is to exploit an opponent who has forgotten to hit his chess clock. To do this, just pretend that you are concentrating very hard as if it is your turn, while the opponent’s time ticks quietly away all the while. This could be a last ditch effort to avoid losing to a player who has got you backed into a corner, but it only works if they’re a bit forgetful. Whatever you do, resist the temptation to glance at their clock or smile because then they will almost certainly catch on and realize that you have been taking advantage of them. If it’s noticed, this strategy will definitely not make you any friends. Another tricky thing you can do is focus your attention and your gaze on an area of the board that is not actually your main focus in the game. This works best during your opponent’s turn. Chess is such a subtle game, and we can often be influenced by subconscious clues from other people’s body language, so this trick can help your main line of attack go unnoticed until it is too late. This one isn’t as tricky as the last, and people aren’t likely to get mad at you over it, so you can use it with a clear conscience. 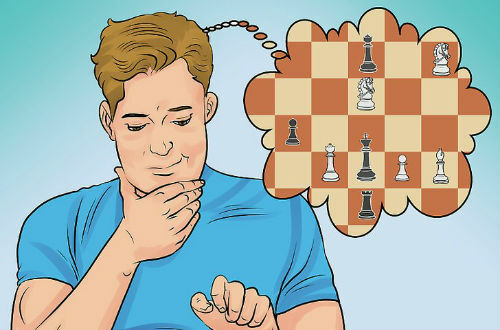 Now that you’ve been introduced to a few basic tips on using chess psychology to your advantage, you’re ready to get out there and practice them during some real chess games! Start out slow, choosing only one or two strategies to implement at a time. Once you’ve had a chance to try them all, you’ll get a better feel for which ones you like best and work well for you, and you’ll be able to concentrate on honing those skills. If you really take a liking to this type of play and want to learn more about it, this article has only just scratched the surface of the psychology of chess. There is so much deeper you can go down the rabbit hole.